Enjoy a sunny break with a stay in these Mediterranean-style, self-catering apartments, located just a short walk from the beaches of Albufeira. 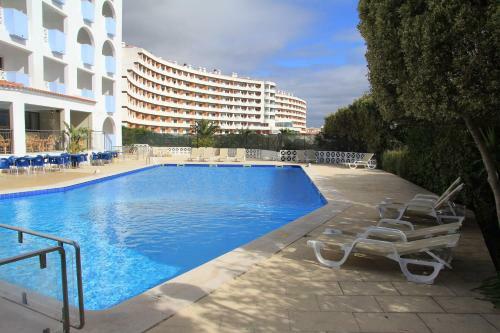 Spend your day in the sunshine before cooling off in the Varandas de Albufeira's outdoor swimming pool. The villa is situated in the residential area about 4.0 km from in the city of Albufeira, about 2 km from the sea, restaurants are located about 300 m away and public transport is just 300 m.